Before Issa Rae's "Insecure" series blew up, the show's creator was trying to get some extra coins by being a Lyft driver. Yes, even AFTER the first season of "Insecure" had already debuted. Just two years ago before all of the "Insecure" fame and accolades, the two-time Golden Globe nominated actress tried her hand as a part-time Lyft driver. “I rented a car to write the first episodes [of the second season of the show] in December, and the rental car that I had, I drove it all the way to Malibu,” Issa told Page Six. While her hit HBO series was gaining momentum in the media, she still was regular ol' Issa - a chick who wasn't about to let a full tank of gas go to waste. And we're not mad. So, before she returned the rental, she thought she could make some quick cash by driving folks around. But, Lyft said NOPE! It still worked in her favor though. She told the "Insecure" writers about the experience and it became inspiration for the series. Imagine grabbing a Lyft and Issa is driving! Ha! What awkward, black girl? This chick is serving up slayage like no other for the cover of EBONY magazine's September 2018 issue. 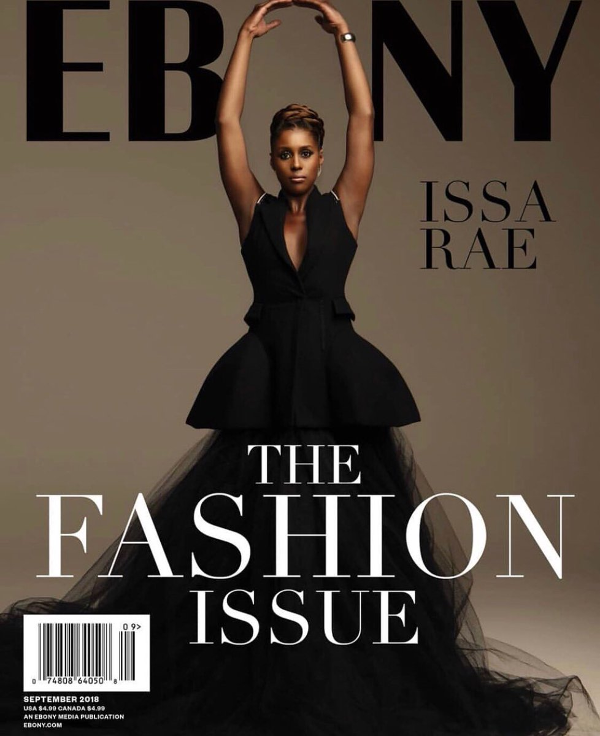 Issa joins the ranks of several other black women who are fronting top fashion magazines this month. And she did not disappoint. The cover story isn't out (digitally), but the pictures are certainly enough to hold us over. You can read Issa's full interview in the September 2018 issue of EBONY magazine. Season 3 of "Insecure" premieres Sunday, August 12th at 10:30pm EST on HBO.